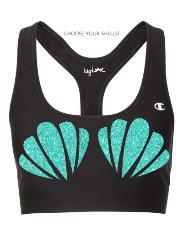 THE MERMAID COLLECTION, REVAMPED! 5 STYLES: Relaxed tanks are long and loose around the hip area. White tank is fitted, long length, stretches up to almost 2 sizes up! V neck is classic women's fit, sportsbra runs true to size. 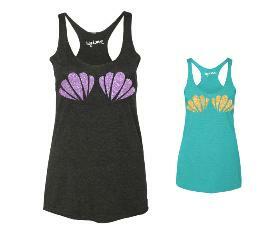 All shells are machine washable glitter! Does not shrink, FINAL SALE. Ships in 2-3 business days.